It’s been said that succulents are the perfect plant for forgetful gardeners. They’re great for indoor gardening and require very little maintenance. As nearly indestructible as they can be, however, I’ve still managed to kill every succulent I’ve had. Perhaps it’s the busy lifestyle that causes my negligent gardening care, or the fact that I’ve come to the realization that I actually don’t know the proper way to care for my ounce of greenery. If you’re like me, don’t wallow in distress! Here we’ve compiled some tips for keeping your succulent happy and alive! First, let’s learn a bit about succulents. Succulents are plants that thrive in hot, dry places. This doesn’t mean, however, that these desert plants don’t love their sunshine. With thick and fleshy organs, they’re able to store water in their leaves, stems or roots – taking advantage of what ever water is available and holding onto it for later use. 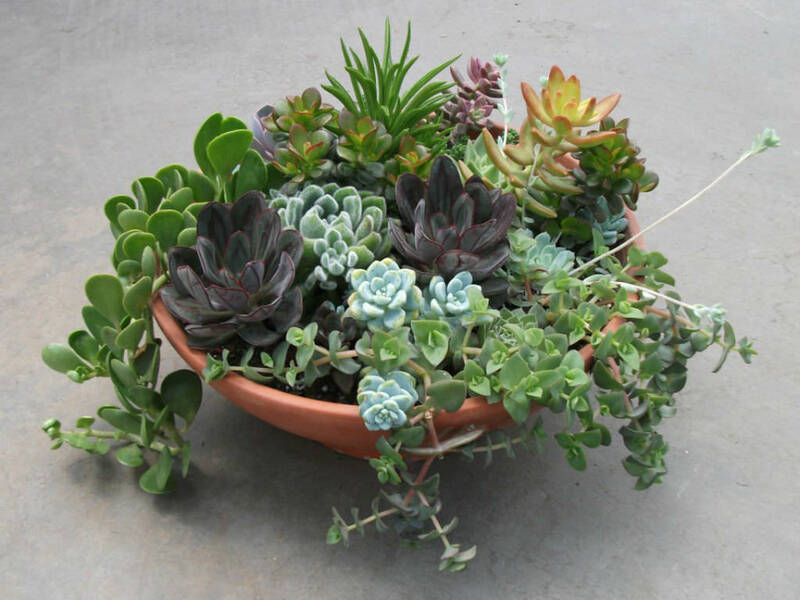 This makes succulents highly adaptable to arid conditions or any environment too dry for most other plants. Now that we’ve covered the basics, let’s talk about light. As mentioned before, desert plants need sunshine too! As much as you’d like your succulent to thrive in the dim corner of your room, they can’t. Giving your indoor succulent as much natural light as possible is imperative. While succulents might prefer the direct sunshine, they can easily adapt to lower light. As long as there’s at least some exposure to light, your succulent should be happy. In addition to lighting, water is an important element. As a general rule of thumb, succulents don’t like to be watered that often. Typically in the summer, you might water your succulent once a week. In the winter, that might change to once a month. Be weary about overwatering your plant. Succulents don’t like to sit in water. Instead, water sparingly. Allow the soil to dry out completely between watering. Lastly, think about the environment. Typically, the greener the succulent, the greater the chances they’ll survive indoors. Indoor succulents increase their life expectancy when they’re spaced apart. This allows for maximum sunlight. Succulents that are outdoors, however, can thrive in crowded compositions. So what are you waiting for? Stop yearning for that greenery, and start planting! You’re already one step closer to mastering the art of urban, indoor gardening.